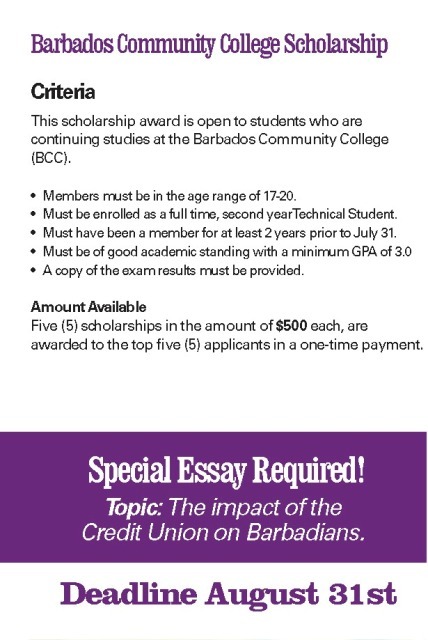 We award two Scholarships valued at BDS$2,500.00 each. A one time award set up in honor of Winfield Belle, one of our prominent deceased Members, is available to two Members enrolled at the University of the West Indies Cave Hill Campus. Recipients can be enrolled in any discipline of their choice.